Yesterday, November 4th 2016, endangered species status for the Miami tiger beetle (Cicindelidia floridana) became effective. This diminutive species is only found in pine rocklands, once ubiquitous in south Florida. However, due to extensive urbanization and agricultural development a majority of this habitat has been destroyed. Today a fraction – only 1.8% -of the pine rocklands in metro Miami-Dade county are left. The remaining pine rocklands have survived comparatively unscathed throughout the extensive agricultural and urban developments in south Florida. But the largest contiguous tract of pine rocklands in Miami-Dade, site of the Miami tiger beetle rediscovery, is in immediate danger of further development in the form of Coral Reef Commons, a private mixed-use development, and Miami Wilds, a sprawling theme park. Any further development will seriously jeopardize the rocklands and their inhabitants by severely fragmenting the habitat and stifling the cycle of bush fires key to the maintenance and survival of pine rocklands. There are numerous, prime locations for a new Walmart or a massive theme park in the county, outside of these last remaining pine rocklands. Let’s restore and preserve the undeveloped and neglected pine rocklands of Miami-Dade; this habitat and its occupants are a unique and valuable part of Florida’s natural history and character. 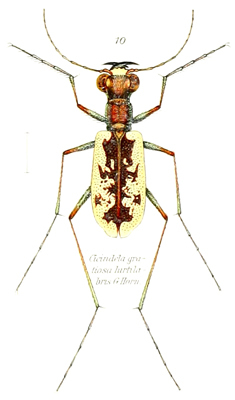 The Miami tiger beetle, Cicindelidia floridana, and its story are unique. An 18-year-old student first collected the species in 1934 from pine rockland habitat in northern Miami-Dade. Pine rocklands were once the dominant habitat in south Florida, extending from the Florida Keys to the northern border of Miami-Dade County, but development has steadily engulfed this habitat. Today 1.8% of the metro Miami-Dade pine rocklands remain standing. In the context of this widespread habitat loss and seventy years without any beetles observed the Miami tiger beetle was presumed extinct. But, in 2007 a population of Miami tiger beetles was rediscovered in the Richmond Heights pine rocklands, the largest contiguous remaining rocklands in Miami-Dade (below), and in 2015 a second population was found at an undisclosed patch of pine rocklands nearby. The Miami tiger beetle faces the immediate threats of habitat loss, degradation, and fragmentation from inadequate habitat management and two proposed developments; a mixed-use development, Coral Reef Commons (below) and a major theme park, Miami Wilds. Distressingly, the species is also actively sought by private, non-scientist tiger beetle collectors due to its extreme rarity. On December 11th 2014, the Center for Biological Diversity, Miami Blue Chapter of the North American Butterfly Association, South Florida Wildlands Association, Tropical Audubon Society, Sandy Koi, Al Sunshine, and I submitted a petition to U.S. Fish and Wildlife Service, urging the Miami tiger beetle be formally listed under the Endangered Species Act. Today, on October 4th 2016, the Service announced the Miami Tiger Beetle will receive “endangered” status under the Endangered Species Act which will become effective on November 4th 2016. The Miami tiger beetle joins other Federally listed (threatened and endangered) pine rockland endemics, including the Florida Bonneted bat (Eumops floridanus), Florida leafwing (Anaea troglodyta floridalis), Bartram’s hairstreak (Strymon acis bartrami), Blodgett’s silverbush (Argythamnia blodgettii), Florida brickell-bush (Brickellia mosieri), Big Pine partridge pea (Chamaecrista lineata var. keyensis), deltoid spurge (Chamaesyce deltoidea deltoidea), wedge spurge (Chamaesyce deltoidea serpyllum), Carter’s small-flowered flax (Linum carteri carteri), sand flax (Linum arenicola), and tiny polygala (Polygala smallii). 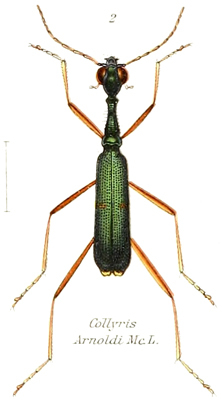 This species also joins other listed members of the Cicindelinae; there are two endangered tiger beetle species (Cicindela ohlone and Ellipsoptera nevadica lincolniana) and two threatened species (Ellipsoptera puritana and Habroscelimorpha dorsalis dorsalis). While the designation of critical habitat is prudent, the Service is delaying a proposed designation at this time and expects to complete work on it by September 30, 2017. In addition, there is a proposal to build two developments in the Richmond Pine Rocklands and the Service continues to work with developers. It would appear that the interests of a few private individuals at Ram Realty and Miami Wilds LLC are taking precedence to the survival of the Miami tiger beetle, its fellow pine rockland endemic species, and the last 1.8% of the metro Miami-Dade pine rocklands. The publicly available plans released by the Coral Reef Commons and Miami Wilds developers show that un-surveyed pine rocklands and Miami-tiger-beetle occupied habitat, respectively, will be paved over and the stifling development will severely limit any management of the remaining habitat, chiefly by preventing controlled burns which pine rocklands and their inhabitants depend upon. Despite this shortcomings, I sincerely thank the staff members of the South Florida Ecological Service. I’d also like recognize the efforts of my fellow Petitioners and extend my thanks. Please stay tuned to this blog for updates on the Miami tiger beetle and its habitat. Bousquet, Y. 2012. Catalogue of Geadephaga (Coleoptera, Adephaga) of America, north of Mexico. ZooKeys 245:1-1722. Brzoska, D., C.B. Knisley, and J. Slotten. 2011. Rediscovery of Cicindela scabrosa floridana Cartwright (Coleoptera: Cicindelidae) and its elevation to species level. Insecta Mundi 0162:1-7. Cartwright, O.L. 1939. Eleven new American Coleoptera (Scarabidae, Cicindelidae). Annals of the Entomological Society of America 32:353-364. Florida Natural Areas Inventory (FNAI). 2010. Pine Rockland, in Guide to the natural communities of Florida: 2010 edition. Florida Natural Areas Inventory, Tallahassee, FL. 8 pp. Knisley, C.B. 2008. Current status of the “Miami” tiger beetle. Final Report. October 28, 2008. Knisley, C.B. 2011. 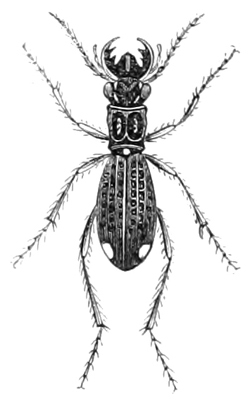 Taxonomy, biology, and conservation of the Florida tiger beetle. Final Report to South Florida Ecological Services Office. February 20, 2011. Knisley, C.B. 2013. Biological studies of the Florida tiger beetle, 2011-2013. Final Report. April 13, 2013. Knisley, C.B. 2015. Species assessment of the Miami tiger beetle, Cicindelidia floridana. Revised Report. June 6, 2015. Knisley, C., M. Kippenhan, and D. Brzoska. 2014. Conservation status of United States tiger beetles. Terrestrial Arthropod Reviews. 7: 93-145. Natureserve 2016. NatureServe Explorer: An online encyclopedia of life. Version 7.0. Pearson, D.L., C.B. Knisley, and C.J. Kazilek. 2006. A field guide to the tiger beetles of the United States and Canada: Identification, natural history and distribution of the Cicindelinae. Oxford University Press, New York. Pearson, D.L., C.B. Knisley, D.P. Duran, and C.J. Kazilek. 2015. A field guide to the tiger beetles of the United States and Canada: Identification, natural history and distribution of the Cicindelinae. Second edition. Oxford University Press, New York. U.S. Fish and Wildlife Service. South Florida Multi-Species Recovery Plan: Appendix C. Species of Concern and their Associated Community Types in South Florida. URS Corporation, The Institute for Regional Conservation, and Muller and Associates, Inc. 2007. Miami Dade County Environmentally Endangered Lands Program Management Plan, Part II: Management of specific habitat types, Chapter 1: The pine rockland habitat. Submitted to Environmentally Endangered Lands Program, Miami, Florida by URS Corporation. K.A. Bradley, G.D. Gann, M.J. Barry, contributors. On December 11th 2014, the Center for Biological Diversity, Miami Blue Chapter of the North American Butterfly Association, South Florida Wildlands Association, Tropical Audubon Society, Sandy Koi, Al Sunshine, and I (the Petitioners) submitted a petition to U.S. Fish and Wildlife Service (the Service), urging the Miami tiger beetle (MTB), Cicindelidia floridana, be formally listed under the Endangered Species Act. A full year and seven days later, on December 18th 2015, the Service proposed “endangered” status for the MTB, and announced a “hearing for members of the general public to comment on that proposal in person,” as required by Section 4(b)(5) of the Endangered Species Act. This public hearing was held on January 13, 2016 at Miami-Dade College’s Kendall campus and I flew in from Arizona to attend. I’ve already posted a brief synopsis, audio, and photos from the hearing and in this post I’m going to respond to “three” commenters. With the December 2015 announcement by the U.S. 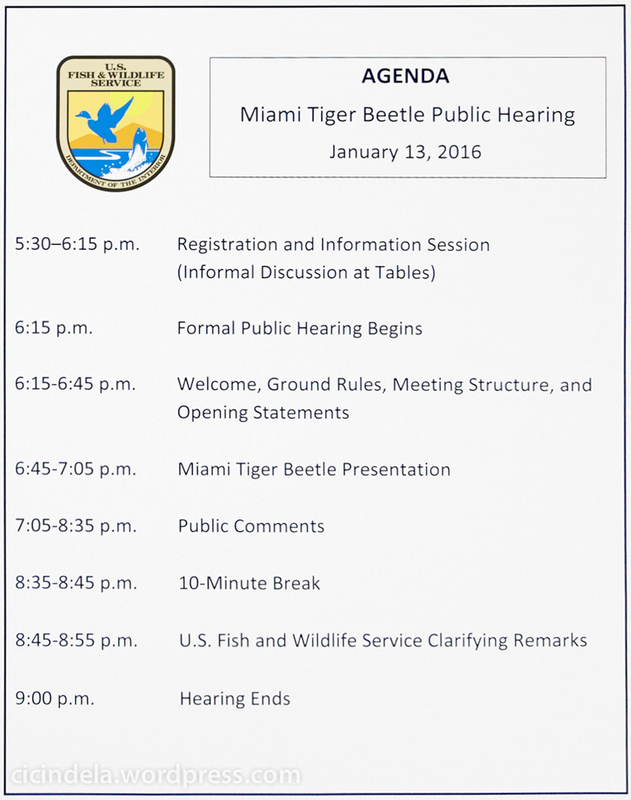 Fish and Wildlife Service (Service) of proposed “endangered” status for the Miami tiger beetle (Cicindelidia floridana), a “hearing for members of the general public to comment on that proposal in person” was scheduled, as required by Section 4(b)(5) of the Endangered Species Act. This public hearing was held on January 13, 2016 at Miami-Dade College’s Kendall campus and I flew in from Arizona to attend. To listen to audio from the hearing click here or keep reading for my photos and some brief comments. Shortly after 5pm I made my way across Miami-Dade College’s Kendall campus to their main auditorium. As I approached the auditorium entrance I saw half a dozen law enforcement officers monitoring the proceeding; two officers at a sign-in table next to the entrance, two at table on the opposite side, and, in between, two at the auditorium doors. Even inside the auditorium there was a USFWS Refuge officer at each entrance, further reinforcing the seriousness of this federal hearing. Even through I was early there were over twenty people already present, both members of the public and Miami-Dade college students. As I waited for the start of the hearing I chatted with the USFWS officials present and picked up copies of their Miami tiger beetle factsheet and FAQ. I will respond to Mr. Lambert/Miami Wild’s concerns and the ecologist’s comments in a second post. Additionally I’ll post my full comments to the Service in a separate post. Please don’t forget the public comment period on USFWS’s proposal to list the Miami tiger beetle as endangered is still open (until February 22, 2016). To submit a comment to the Service go to the official site and click comment now. (L-R) Sonya Thompson (Miami-Dade County), Chris Wirth (Cicindela blogger & Miami tiger beetle petitioner), Sandy Koi (Miami tiger beetle petitioner), Belén Valladares (Miami Pine Rocklands Coalition vice-president), Al Sunshine (Miami Pine Rocklands Coalition president & Miami tiger beetle petitioner). I’d like to extend special thanks to Miami Pine Rocklands Coalition Vice-President Belén Valladares for providing transportation and lodging during my trip. On December 18th 2015, over a full year and seven days after a listing petition to protect the Miami tiger beetle (Cicindela floridana) was filed by the Center for Biological Diversity, advocacy groups, and several individuals (including myself),the U.S. Fish and Wildlife Service announced their proposal for the listing of the Miami tiger beetle as endangered. Watching the Miami tiger beetle forage, with its shiny, iridescent body and lightning-quick legs, is mesmerizing. Endangered Species Act protection will help ensure the beetle’s rare pine rockland hunting grounds remain intact in the face of ever-pressing development. The USFWS proposed listing could have significant impacts on the potential developments in the Richmond Heights pine rocklands, home of this beetle. With the USFWS’s announcement a public comment period is open until February 22 and a public hearing is scheduled on January 13th at Miami-Dade College, Kendall Campus. Note: This post was largely written in August, however I held off publishing due to the sensitive nature of this discovery. This Friday the U.S. Fish and Wildlife Service proposed listing the Miami tiger beetle as an endangered species and announced the existence of a second population of the MTB. With this official confirmation I’m publishing this post in hopes of contributing some context and further information about this population. The story of the Miami tiger beetle, Cicindela floridana, a beautifully iridescent tiger beetle presumed extinct but rediscovered in 2007 is unique. This fiercely predatory beetle is a south Florida endemic only known from pine rocklands, a habitat once common in Miami-Dade county but, due to extensive development, today only 1.8% of the metro Miami-Dade rocklands remain. The entomologist Frank N. Young Jr., an 18 year old student at the time, discovered the Miami tiger beetle from pine rocklands in 1934 at a site in northern Miami-Dade county. 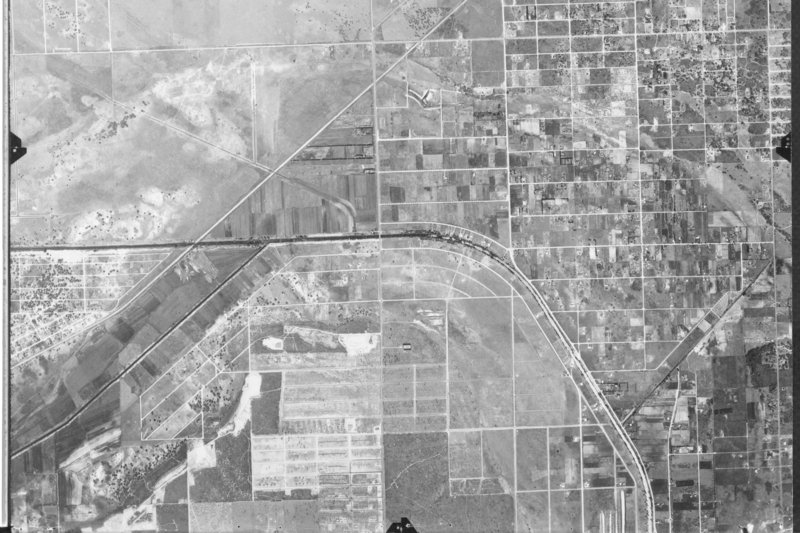 However, by 1947 this habitat was lost to development as the native pine rocklands were transformed into the neighborhoods of north Miami and Miami Shores (below). In 2007, after a 73 year absence and presumed extinction, the Miami tiger beetle was rediscovered near Zoo Miami in pine rocklands. This site is part of the Richmond Heights pine rocklands, the largest contiguous remaining areas of this habitat in metro Miami-Dade. Spurred by this rediscovery entomologists surveyed pine rocklands throughout southern Florida in search of the Miami tiger beetle. Extensive surveys were conducted in both scrub habitats and most of the pine rockland sites in Miami-Dade, Ft. Lauderdale and Palm Beach Counties (Knisley, 2008). Most were unsuitable probably because they were too densely vegetated or the substrates were mostly oolitic limestone rock with few or no sand patches (Knisley et al. 2014). 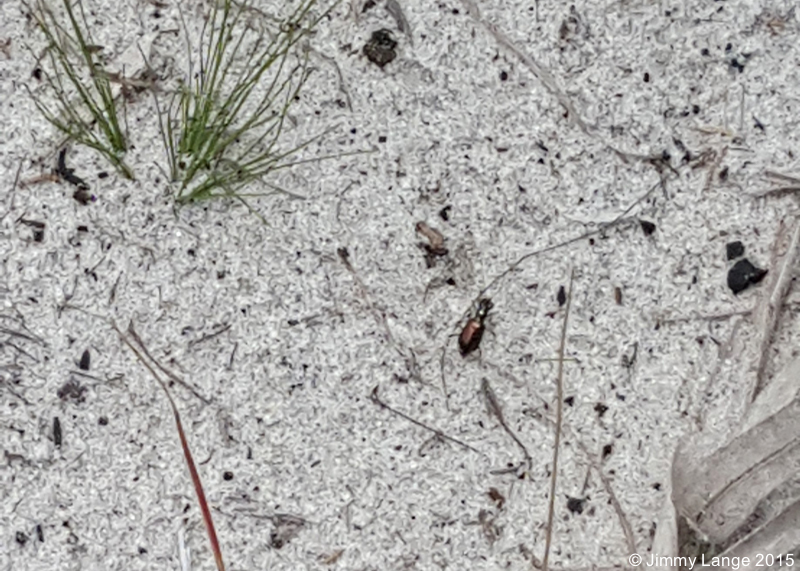 Despite these efforts in the years since its remarkable rediscovery the Miami tiger beetle had only been found at a handful of directly adjacent sites in the Richmond Heights pine rocklands. Even the known population is few in number (under a hundred adult beetles observed) and face further threats of vegetation encroachment and potential habitat development (see here for more). This changed in July when Jimmy Lange, a field botanist at Fairchild Tropical Botanic Garden, and Alyssa Dawson, an intern from Ohio University, were surveying an undisclosed patch of pine rocklands for rare plants (namely Brickellia mosieri, an endangered species) when, as Lange describes it, “[i]n my meanderings I was [documenting] other rare species as I encountered them … when I bumped into a tiger beetle.” But this was not just any tiger beetle, Lange and Dawson found three Miami tiger beetles (Cicindela floridana). Lange and Dawson’s discovery offers a small boost to the hopes for the survival of the Miami tiger beetle. But even with the discovery of the second population the MTB is still in danger. The MTB habitat, pine rockland, has been extensively developed and today only 1.8% of the metro Miami-Dade pine rocklands remain. These habitats are also under the constant threat of vegetation encroachment primarily due to the lack of controlled burns (which pine rocklands depend upon). Examples of our grading system are as follows: A 1 would be comparable to the NatureServe grade of 1, usually with five or fewer known populations and significant threats; a 1+ would be at the upper range of these factors and 1- at the lower range. For the 1 +/- grade given by Knisley a species must face significant threats which is absolutely the case for the MTB. Most significantly both populations face the “loss, degradation, and fragmentation” (USFWS) of habitat, primarily from the constant encroachment of vegetation, both ecological succession due the lack of fires and invasive species. Tiger beetles are in high demand and avidly collected. We are aware of internet advertisements for the sale and trade of other florida tiger beetles.